One concern a lot of people have with Plural Marriage is that the scriptures repeatedly teach us to love your spouse and no one else. I would like to present a possible interpretation that these scriptures actually refer to fidelity rather than a single spouse. This scripture identifies three types of people. First “thou,” this refers to the person reading or receiving these words. In the context of this verse it is a male, but it could easily refer to a women if the remaining verse genders were changed. The second type is “wife/her” this is the spouse of the first person. In the context of the verse it is a women, but could easily be a man if the first person is a women. The third type of person is, “none else.” This none else does not refer to any other person outside of the marriage covenant with a singular second person. Rather it refers to anyone outside of a marriage covenant between a first person and second person. I know that sounds completely confusing so let me try and explain it better. A marriage covenant excludes the first and second person more “cleaving unto” a third type of person. But it does not exclude “cleaving unto” a person of type two. So as long as a person is type two in relation to the first person then cleaving is permitted. Ok that’s about as clear as mud. 22 [You the first person] shalt love thy [second type person] with all thy heart, and shalt cleave unto [the second type person] and [not a third type person]. The way I understand it is that this verse is not putting a restriction one the number of marriage covenants a person my have with type two people. Rather it is stating that you should be faithful to those people you have marriage covenants with. You should not cleave unto a person that you do not have a marriage covenant with. The marriage covenant is between one man and one woman. It is not between one man and two women or one woman and two men. Marriage is a one on one covenant. Now of course the Lord is included in these covenants. What Plural Marriage does is it allows a person to have more than one of these covenants. So if a man is married to five women he is not married to five women. Rather he has five marriages of one man to one woman. The women are not massed together as a group neither are the women married to each other. But each woman is an equal partner with her husband in the marriage covenant. So even though a man has more than one marriage covenant his is still obeying the commandments to have one wife. Because in each of his marriage covenants he has but one wife. One way I can relate to this is with electronics. 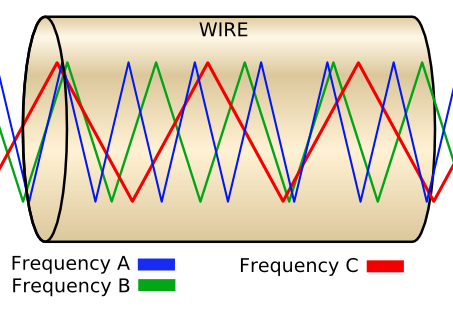 In alternating current you have many different frequencies. I can take a single piece of wire and send an infinite number of frequencies through it. Each frequency operates independently. For example say I have three frequencies. I can turn one down, and make one bigger and it does not affect the other. I can send a signal over each frequency and it does not mix with the other. And this is all through a single piece of wire. I don’t have to have more than one wire or increase the size of the wire or anything. It’s the same with cell phones. Have you ever wondered how all of the cell phones in your city can operate without getting mixed up? It’s because each phone has it’s own frequency with the tower. You only need one tower yet it can carry many individual conversations. Each conversation clear as a bell(usually). These are some real world examples of how it is possible a single thing can deal with multiple things at the same time each with perfect clarity. It is the same with marriage covenants, granted humans are not electronics, but one covenant does not exclude another. A single person can have individual covenants with many people, each with fidelity. 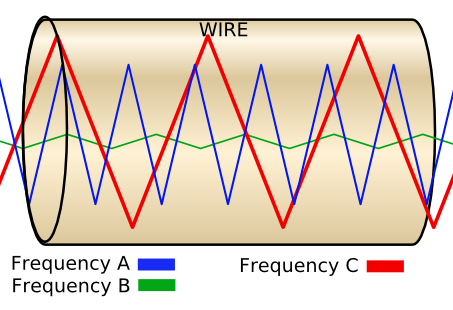 An interesting exception I should note is that if a wire or signal has three different frequencies. 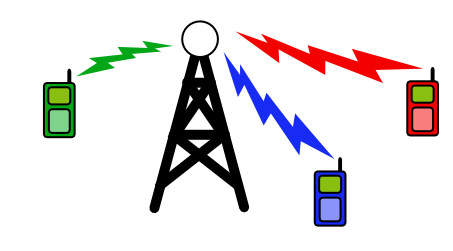 And if those frequencies are the same or harmonics of each other, then the overall power of each signal is increased and the signal strength is much greater. Could it be the same with plural marriage. If a man married to one woman have a strong marriage and he marries another women and both covenants are strong and working together, would not the family as a whole be even stronger? It can also be said that frequencies that are opposite each other can cancel each other out. This entry was posted in Plural Marriage and tagged Doctrine and Covenants, electronics, fidelity, love, marriage, monogamy, Plural Marriage, Polygamy. Bookmark the permalink. And now we are talking about how to build strong tribal bonds. This is a very interesting insight. Thanks. Hmmmm….not sure I agree with this analysis. It seems that it’s just a complex explanation to make it seem like the verse doesn’t mean what it plainly says. This same process can be used on most any verse to prove that it really means something other than it says. What if a person joins the church in a country where polygamy is not outlawed and that person already has two or more spouses — would they be in violation of D&C 42:22 because he or she loves every person that he or she has received as a spouse with all the heart, and cleaves unto none else? In other words, do you disagree with the thesis that loving more than one person (poly+gamy) with all your heart and cleaving only to them is possible? Or do you hold to the current narrative that God made you to only be able to love one person (mono+gamy) with all your heart — and that adding another person would thereby take away from your love/cleaving? John, would you justify the state and/or the church in forbidding people from marrying — should they be married already? As far as I know, the church (knowingly) won’t baptize polygamists living in countries that have laws which allow the practice. Justin, keep in mind that I am no longer LDS when you consider my comments. I don’t believe any of it now, but I do commend my nephew for pursuing his faith in an honest way with his eyes wide open! So, while I don’t agree with what he believes, I respect his beliefs and consider it a privilege to dialogue with him from his perspective. Yes, I would say that based on that particular passage, if a person has more than one wife, he has violated that commandment. In my opinion, no amout of semantics can force this passage to say anything else. That being said, I certainly find it possible for an individual to have more than one spouse, without it taking away from your love for each. As far as the State is concerned, I don’t believe the Federal government should have anything to say about the matter. This is an issue that has to be addressed on the State level, because the U.S. Constitution is silent regarding it. As far as the Church is concerned, I don’t see how they can forbid it and remain true to Section 132, as well as the other well worded arguments that Michael has put forth. His case for Plural Marriage is rock solid. I believe Section 132 supersedes Section 42 in this matter. Just my opinion for what it’s worth! This post made me really grateful that Jesus never once thought/thinks himself capable of only loving one of us, or one at a time only, or a limited amount. We would be screwed if that were the case. It also brought to my attention that this is a (if not THE) central principle or idea that Lucifer functions off of. Satan or the conglomerate of souls who gave their agency over to Lucifer were convinced of the lie that you can only love one. Great comments. I will admit that even while writing this post it felt more like a rambling. But it was a subject that I wanted to cover while it is still October. I still have one more big closing post for Plural Marriage month. So either the Church doesn’t understand that polygamy/polygyny is legal in those countries, or it believes that laws of the USA are applicableover the whole world. I guess there is one more option. The Church just doesn’t care about what is in the scriptures and institutes policies that will best insure its financial future. I completly agree Elder Chantdown. wow i guess it was inspiration…i felt to copy this post to keep for my own records. but unfortunately i went to check it just now and it left a big ol’ gap where the excellent illustrations your made appeared…so i came back to try and capture the graphics somehow and find them entirely missing….hmmm….i guess i shouldn’t have mentioned how much i appreciated your effort in creating and or selecting instructive images to teach gospel principles….does this have anything to do with that? hope that it didnt create any friction between you and your wife. OH HURRRRAAH!….it was a computer malfunction…phew! They are showing up again.